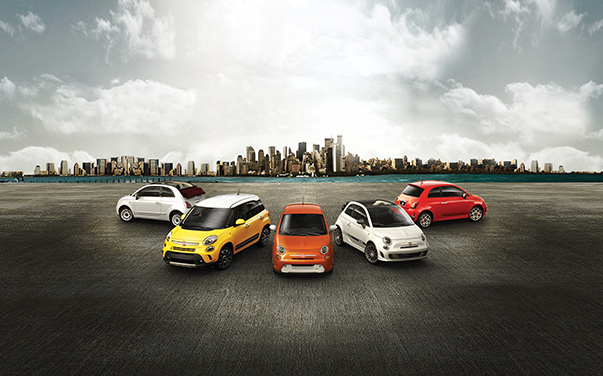 Are you looking to lease a FIAT near St. Paul, Minnesota? Schmelz Countryside FIAT in Maplewood, MN has a wide array of FIAT vehicles to choose from, including the FIAT 124 Spider, 500, 500 Abarth, 500C, 500L, and 500X. If you love driving a new car every two to three years, prefer a lower monthly auto payment, and drive fewer than 12K miles a year, opting for a FIAT lease might make the most sense. To determine if a FIAT lease is right for you, contact our auto finance department, and we'll answer any of your questions! Hop into the FIAT of your dreams with an auto lease that fits your lifestyle and budget at Schmelz Countryside FIAT. The sleek exterior, high performance, and classic roadster style of the FIAT 124 Spider convertible will turn heads on the St. Paul, MN streets. The seductive, city-driving efficiency of the iconic FIAT 500 hatchback is perfect for the busy commuter. And for fast, fuel-efficient fun that offers smart cargo space, we also offer FIAT financing on our lineup of FIAT 500X compact SUVs. Schedule your test drive today! One way you can save even more on top of our already competitive prices is to value your trade. Once you trade in your car, you can put the market value towards a new FIAT lease. If a car lease isn’t what’s going to work best for you and what you want out of your new FIAT vehicle, exploring your auto loan options with our finance department is the way to go. To learn more about how to get a low monthly auto payment on a FIAT lease, get in contact with the automotive financing experts at Schmelz Countryside FIAT near St. Paul, MN today.